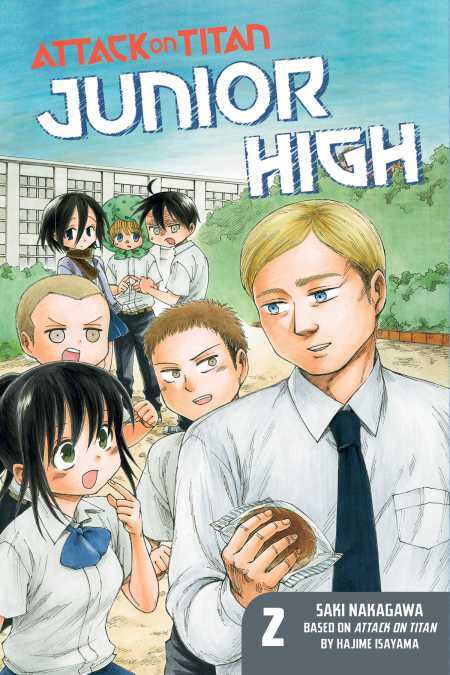 Home > Series > Attack on Titan: Junior High > Attack on Titan: Junior High, Volume 2: Teach Us, Erwin! Attack on Titan: Junior High, Volume 2: Teach Us, Erwin! What do you get when you combine a bunch of unstable teenagers, a school full of mysteries, and giant monsters? Attack on Titan: Junior High, one of the weirdest manga parodies you'll ever read! In this volume, the holy Mr. Erwin makes his debut, and it seems Eren's the only one not in love with their new teacher. Then, an odd set of circumstances pit Armin and Levi against one another! Over 300 more pages of ridiculous Titan comedy!